Last year, our school transitioned to a new method of reporting to parents specific to student learning and achievement. 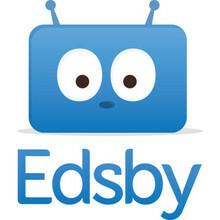 Edsby is the new online reporting system that can be accessed anytime and anywhere to view your child's/children's progress. To date, we have several parents who have not logged on. If you haven't already done so, please ensure that you have signed up through PowerSchool (information on our school's website) to access Edsby. As such, we are eliminating formal progress report cards throughout the year. This online reporting system allows you to view your child's current progress, specific to the Alberta Education curricular outcomes, as well as how they are growing as a learner, any time and anywhere (real-time reporting). Please don't hesitate to contact the office if you require any assistance in getting logged on. We value your support in assisting us to keep you updated on your child's progress throughout the year. To login to Edsby click here. Click here to log in or create your PowerSchool account. This is the first step required for Edsby. Please see letter.